The standard excision of cancerous tissue usually involves cutting away 4 to 6 mm of healthy tissue around the visibly invasive cancer. Employing Mohs surgery means this is limited to 1 or 1.5 mm. The accuracy of the method is encapsulated in the acronym CCPDMA, which stands for ‘complete circumferential peripheral and deep margin assessment’. Basically, this means that examination within the surgical margin (the area containing visible cancer, which the surgeon delineates with a scalpel incision) is not merely of random samples in that area; it is a step-by-step inspection of the margin in its entirety. This ‘mapping’ or processing ensures that no residual tumour or cancerous cells go undetected. Perhaps the two biggest conveniences are that the patient knows the results almost instantaneously and that this is a single-visit, outpatient surgery. Your dermatologist or surgeon also acts as the pathologist, the one who examines the samples of skin tissue for diagnostic clarity. Therefore, there is no delay while samples are sent elsewhere to be assessed. There are other advantages that support its good repute. One is advised to set aside the day, yet the entire process can last as little as three or four hours. The surgeon or dermatologist will clean the area, outline the section requiring cutting, and inject a local anaesthetic. He or she removes the visible section of cancer and to ensure the deeper-lying reach of it is also removed, he will include a layer of tissue beneath and slightly larger than the tumour visible on the surface. This is done in a matter of minutes. A temporary bandage is placed over the treatment area. The examination of each removed layer of tissue is done under a microscope, instantly, in an on-site laboratory, while the ‘mapping’ record (mentioned above) allows for no confusion or error. This does require the patient to wait in a waiting room during the initial analysis period, and any subsequently necessary one. As one need not wear a surgical gown and can read, utilize a tablet or laptop, and even eat, the delay is perfectly pleasurable. If the surgeon/dermatologist finds any remaining cancer cells, he/she knows the exact area where they are and will remove another layer of tissue from that location until it is entirely cancer-free. Naturally, a local anaesthetic will be re-administered if additional tissue removal is required. 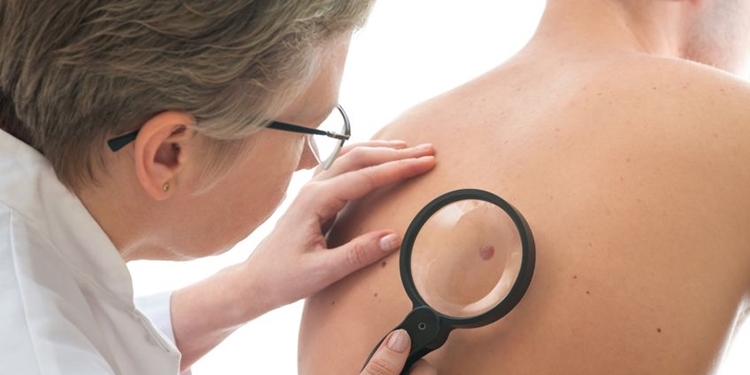 Mohs Surgery is not only quick and painless; it also leaves the smallest scar possible. Consult your dermatologist for informed advice and an opinion if you feel apprehensive about being an unsuitable candidate for any part of the procedure. However, for the vast majority of people plagued by skin cancer, Mohs Surgery is almost miraculously convenient and expedient.